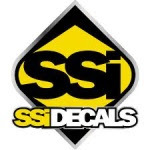 Get Free SSIDECALS Small Sample Pack of stickers. Fill out the short form to receive a free sample of SSIDECALS. These stickers are great to put all over your boards, fridge, car or anywhere else. Free online stickers are the best!